Pittsburgh's Premier Organic Family Farm and CSA! Our farm has provided Pittsburgh area customers with local, organically grown produce, fruits, and meats since 1971. 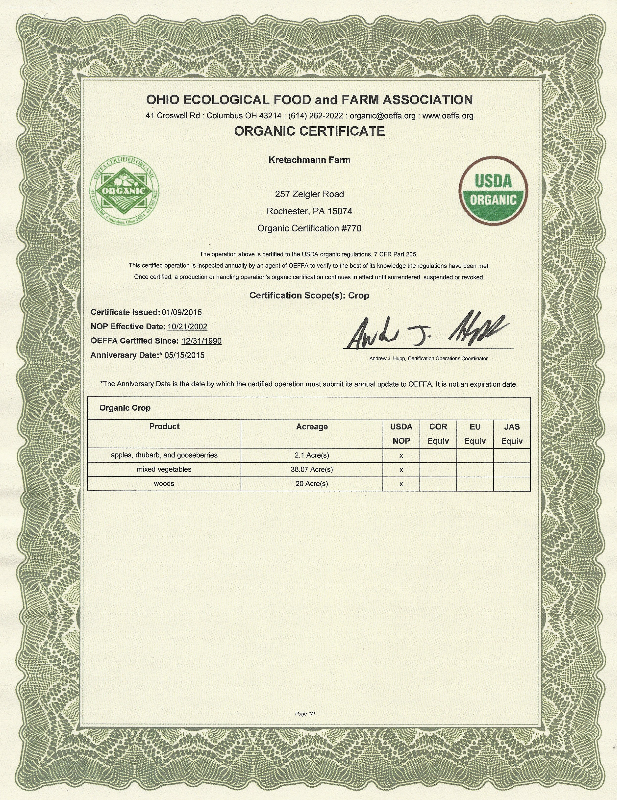 One of the first organic growers in western PA, for over 40 years we have always grown strictly organically and are certified organic with Ohio Ecological Food and Farm Association (OEFFA). Our 80 acre family farm is located near Zelienople, about 35 miles north of the city. We raise an extremely wide variety of vegetable and fruit products, with a 3 acre apple orchard. We have several greenhouses, including high tunnel greenhouses which we use to extend our season. We market through an efficient CSA (Community Sponsored Agriculture) operation and a few wholesale sales. Since 1993, we've provided mixed boxes of our produce delivered weekly to our members in neighborhoods throughout the Pittsburgh area from June to Thanksgiving. Each member also receives a newsletter with updates about what is happening on our farm and recipe suggestions. Joining our CSA is one of the easiest ways to ensure you have a refrigerator full of those healthy fruits and vegetables which keep you in top health. New study shows more vegetables are even more vital for health. With our CSA you don't need to spend all the cash in your blue apron to get great recipes and local fresh food! 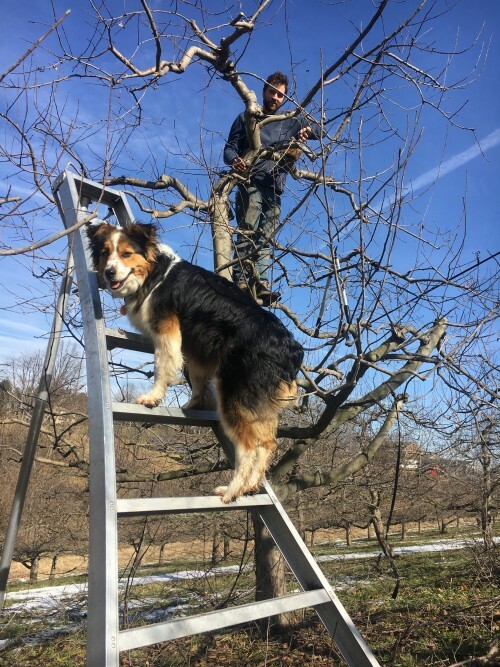 Molly Wants to Help Prune Apples; Doggie Tools? Signup for the 2019 Summer Season! See the Apple Blossom Show!